Manta Rays are what made Yap a world class divers destination but there’s also much, much more to see. Stunning south reefs, sharks, macro dives and a superb Mandarin fish dive. Dive sites are un-crowded, reefs are healthy and the diving itself is relaxing and with almost no current. 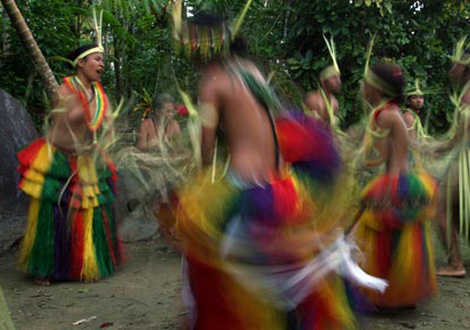 Yap’s culture is unique within Micronesia. Visitors can view giant stone discs, up to 12ft in diameter, that were once used as legal tender, or visit a village to watch or participate in a traditional dance. United Airlines flys roundtrip to Yap two times a week. The town of Colonia on Yap Proper is the capital and is slightly more urbanized than the village areas. Snorkeling and diving are popular in the crystal clear waters, where giant manta rays are known to school all year round. Total $20, applicable to all travelers.